Bethel offers a variety of clubs that bring people together with a common interest to enjoy fellowship with one another. 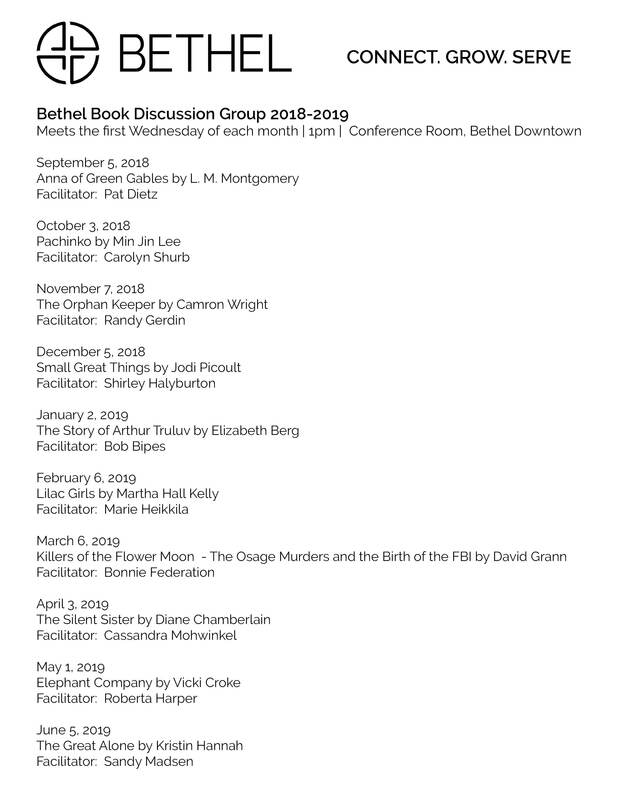 You are invited to connect with any of these groups at a time that is convenient for you. Bethel friends gather the first Wednesday of each month September - May | 1pm | Conference Room, Bethel Downtown. Opportunities for adults over 55 to connect in fellowship! Watch the Events page for scheduled events. Hardanger: first and third Thursday of each month at 1pm. Embroidery: second Monday of each month at 1pm. See the events page for more. On the Events page, you will find the times and locations for various club gatherings. Click HERE to view the calendar.